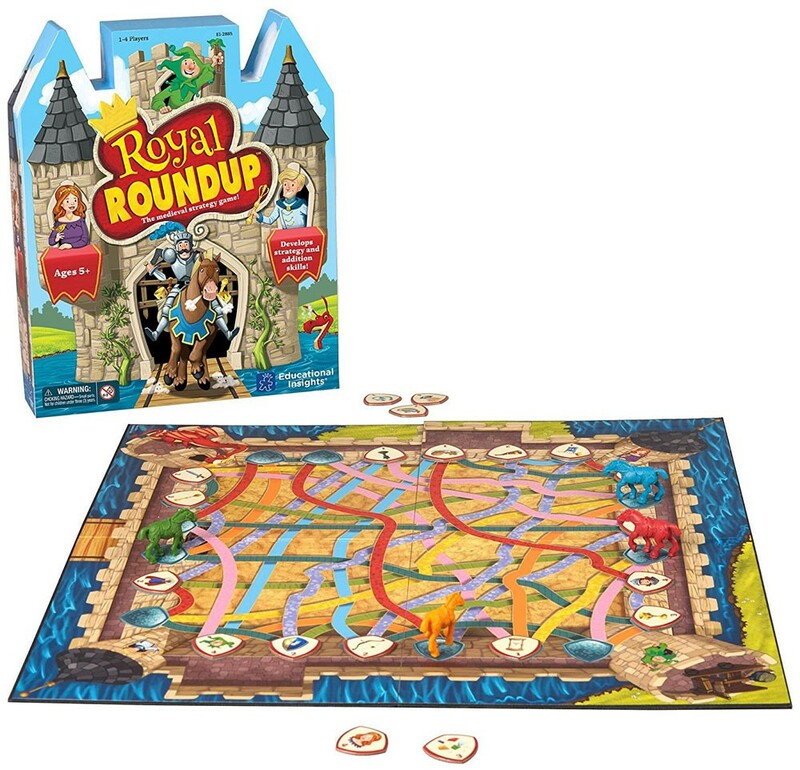 The Royal Roundup develops strategy and addition skills as the players race their horses down the paths in this medieval theme strategy game! All Knights of the Land to the rescue! The royal castle is under attack! It needs your help to use your strategy thinking and noble character to race for the castle treasures and saving the king, princesses, and the royal place! 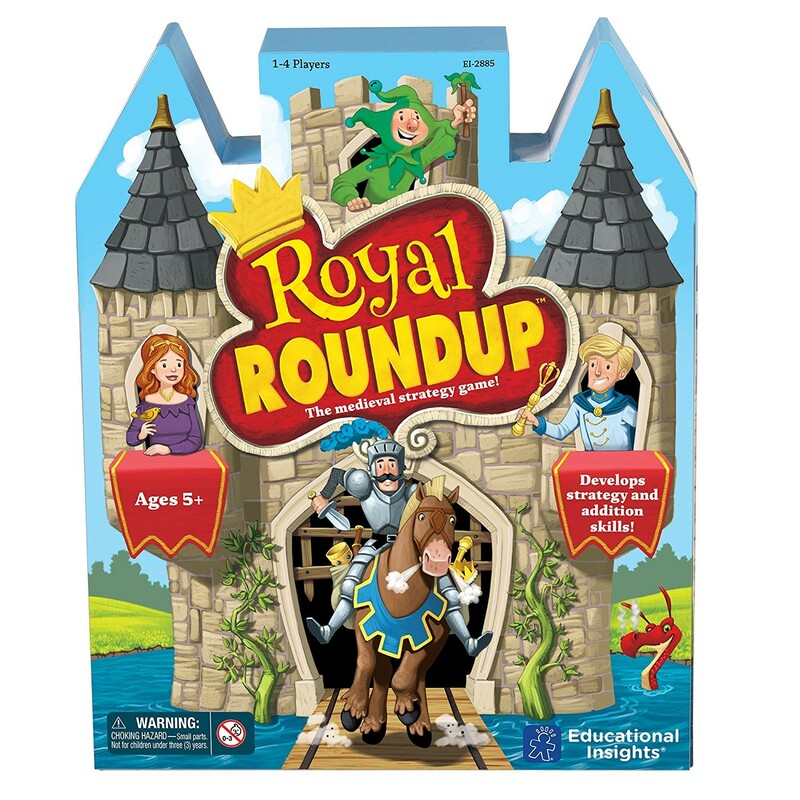 Royal Roundup Medieval Strategy Game by Educational Insights is a fun introduction to strategy and problem solving for children 5-8 years. This mathematical thinking board game is designed for 2-4 players. 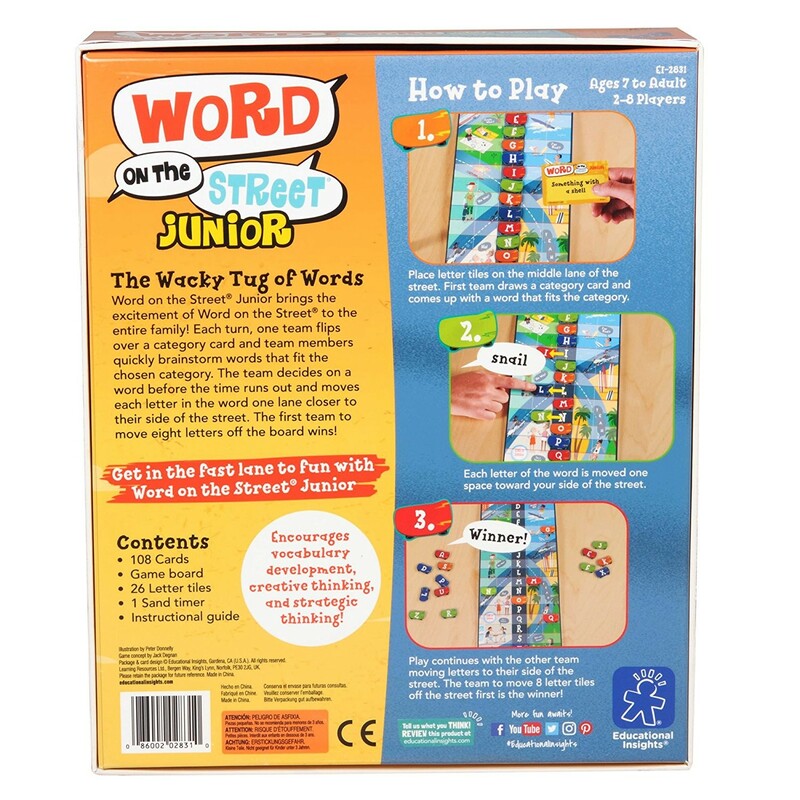 The royal game set from Educational Toys Planet includes a game board, 4 horse figurines, 24 treasure tokens, and multilingual instructions. The treasure tokens have different value. 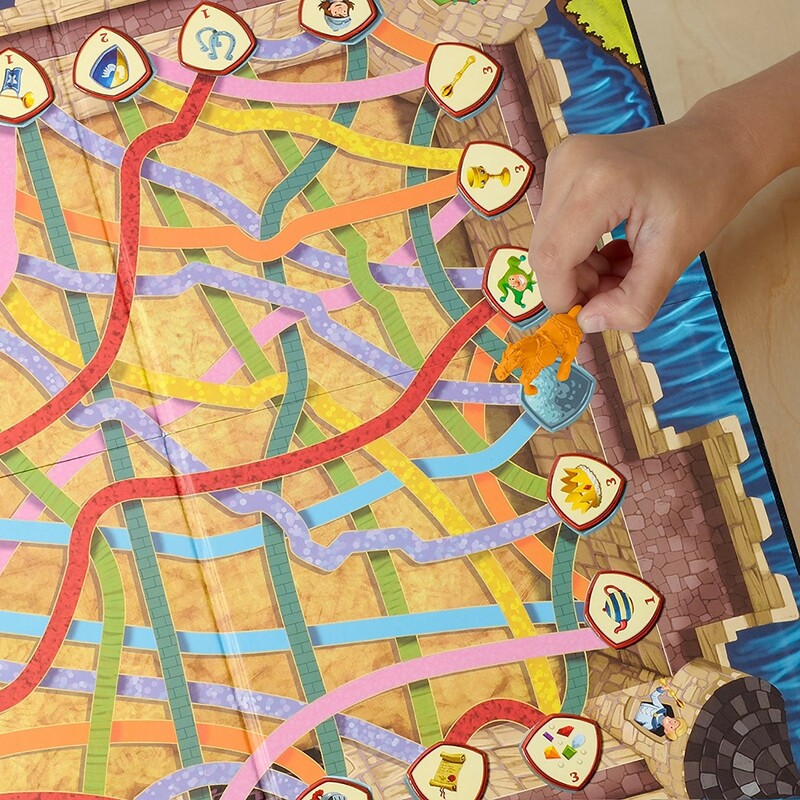 Choose a horse as your play piece, place the tokens on the special spaces on the board and take turns following the winding roads to save the castles and collecting treasure tokens on the way. The strategy is to get the tokens with the most value. 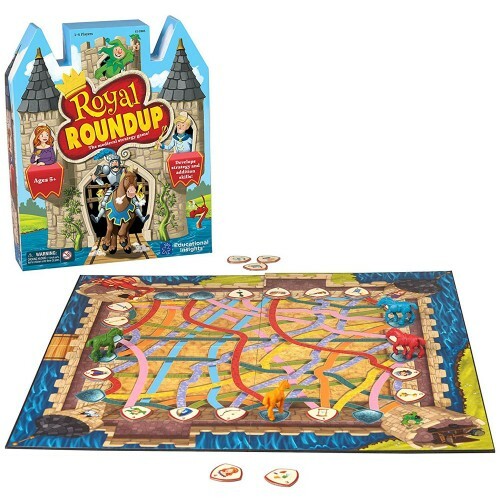 The player with the most points on his/her treasure tokens wins the Royal Roundup! The board game measures 16 x 16 inches. Get your horse ready, race, think, win! 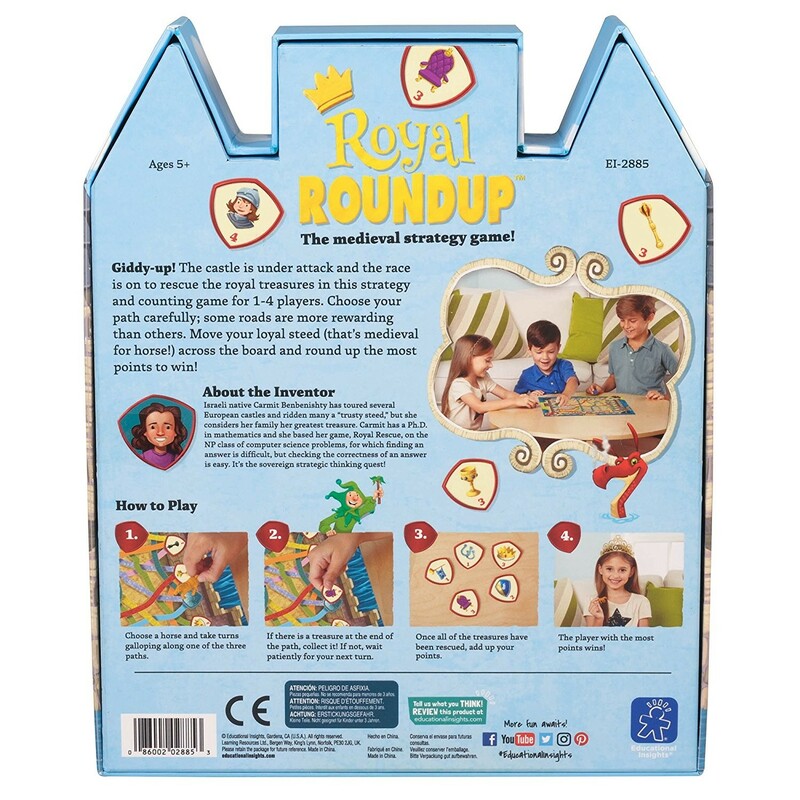 Dimensions of package 8.7" x 10.7" x 2"
Write your own review of Royal Roundup Medieval Strategy Game. Rating: 1 One Star by Sunny, Educational Insights BORING!! !